The world’s leading companies have already embarked on the “blockchain train” demonstrating that the technological revolution is already beginning to gain strength. According to a study published by Okta Inc more than half of the companies with profits above 1 billion dollars are investing in the development of blockchain technologies as tools to improve their business scheme. To conduct the study, Okta Inc surveyed executives from more than 1000 internationally renowned companies to find out how they are using technological advances to adapt to the future. The study focused on investing in labor, technology, operations, and digital transformation. The results in the area of digital transformation were amazing. The study concluded that almost 90% of large corporations have a strong interest in the application of blockchain technologies and artificial intelligence. “To fuel this transformation, the vast majority (86%) of digitally transforming organizations are adopting new technologies to support agile app development, as well as getting their hands dirty now with forward-looking technologies like blockchain and AI. All of this is happening while maintaining secure systems and a secure user experience that respects customer privacy. Similarly, more than 61% of companies invest in blockchain technologies as a business policy. The most popular technological advance is the Internet of Things with 72% of the total. The internet of things is not only the one that has generated more interest in international investors, but it has proven to be one of the fastest growing technology sectors. A report by Forbes estimates that the total market profits associated with this type of development could be around 520B dollars by 2021. 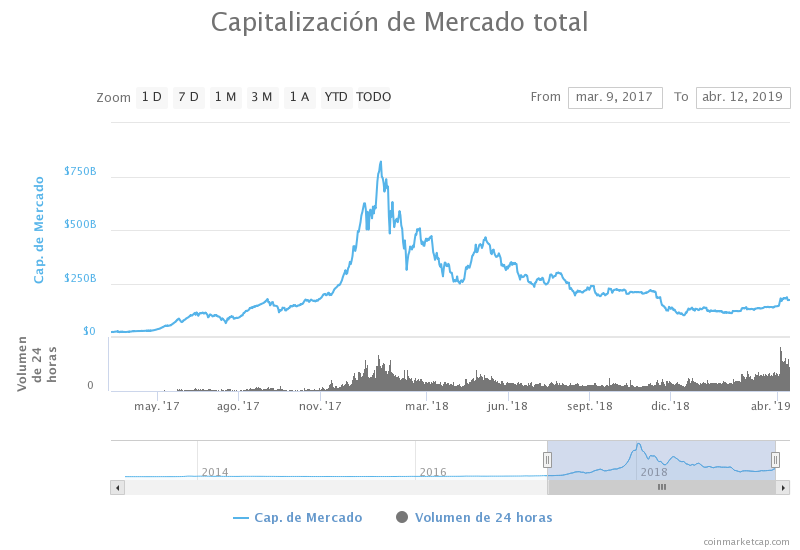 Currently the market for cryptocurrencies is around 177 billion dollars, however, during the 2017 hype, the crypto coins reached a total capitalization of almost 800 billion dollars before the reversal of trends that gave rise to the bearish streak of 2018. The cryptomarket in general has had a good 2019, Since late January there has been a slightly bullish trend that has led many analysts to declare that the tendency of 2018 is already coming to an end. Why Does A Bitcoin Wallet Address Change Constantly?